Steven Spielberg’s “War Horse” has been and will continue to be nominated for nearly every award on the planet, but please don’t let that fool you into wasting your money on it when there are so many other fabulous films playing right now more deserving of your disposable income. 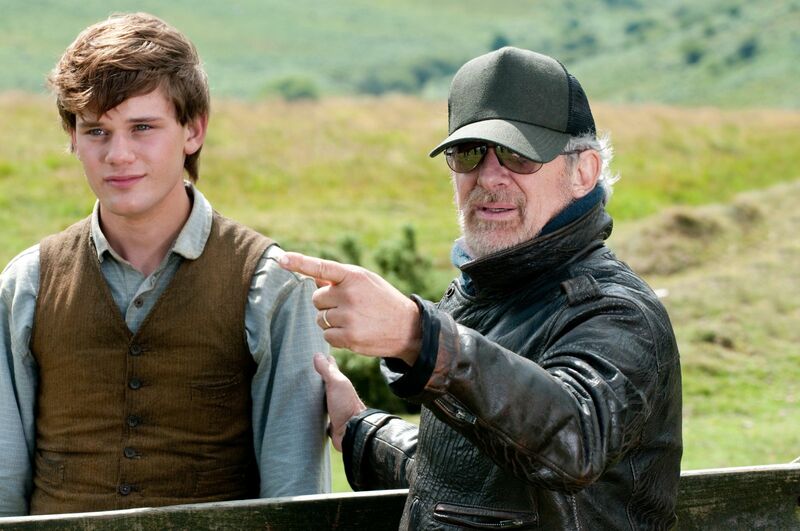 “War Horse” automatically became an Academy Award frontrunner the moment Spielberg signed on to direct, long before a frame of film was even shot. Award shows like the Oscars tend to pick films that are broad and pandering, easy to digest by mass audiences, so long as they have impressive pedigree in front of and behind the camera. The actual quality of the film means nothing, which is why “War Horse” will continue to rack up nominations left and right – it’s a WWI epic directed by Spielberg. Recognizing it as a blinding masterpiece, even if it isn’t, is probably written into the Academy’s bylaws. “War Horse” begins on the eve of the First World War in Devon, England. A farmer purchases a young thoroughbred horse at an auction, and though it’s not the strong plough horse his family actually needs, the man’s son, Albert, falls in love with the horse, naming it Joey. Albert and Joey form a strong bond, but when war breaks out, Joey is purchased by an Army Captain and thrust into combat. From here, the film follows Joey’s journey as he fights first for the British, then for the Germans, and then gets into many more shenanigans I probably shouldn’t spoil for those I can’t convince to skip this movie. In essence, each step in Joey’s journey is another short story, with a new setting and a new set of characters. There’s potential there, I think, to depict the vastness of WWI from the eyes of an innocent animal, but Spielberg and, more importantly, the script never commit to actually dramatizing events from the horse’s point-of-view. The horse is merely a McGuffin to get us from one story to the next, so instead of getting one well-rounded equine character to follow and become fond of over the two-hour movie, we get groups of poorly defined human characters we are supposed to care about for ten to twenty minutes before moving on to the next group of poorly defined human characters. There are plenty of fine performances along the way, but apart from Tom Hiddleston and Benedict Cumberbatch (who between this, “Tinker Tailor Soldier Spy,” and the BBC’s “Sherlock” is proving himself to be a wildly versatile performer), none of the actors overcome what can only be described as bad writing. It’s not easy to build strong, empathetic characters under the best of circumstances, but when the structure demands that we care about a new person every twenty minutes, the writing really has to be exceptional, and “War Horse” doesn’t even come close to cutting it. The result is a war epic that is undeniably dull. Without characters worth getting invested in or a clear narrative through-thread, the film is lifeless, limp and inert even in the visually spectacular battle scenes. It’s too bad, because “War Horse” does have its moments, and those are the ones that put Joey front and center, actually committing to treating this horse as the main character. I understand why Spielberg shies away from this for most of the run-time – it’s risky to put a silent animal in the spotlight – but taking the easy, conventional way out robs the film of anything substantive or worthwhile. I can imagine a version of this film, told strictly from Joey’s point-of-view as he encounters all sorts of strange and horrifying new people and places, that would be spectacular. A director like Terrence Malick, someone deeply in touch with nature and willing to go out on a limb, could pull that off very well. 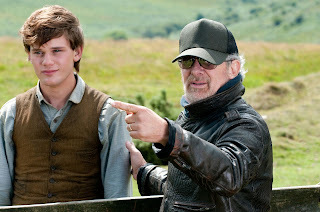 But Spielberg, much as I love him, isn’t exactly experimental, nor is he the kind of director whose talents improve bad storytelling – just look at “Hook,” “The Lost World” or, depending on your tastes, one to two “Indiana Jones” movies for proof. He’s a great director, but he’s also a broad and conventional director, and broad and conventional direction doesn’t improve a shoddy narrative. The other problem with having Spielberg tackle this material is that he is, and has always been, an emotional filmmaker. When he succeeds, he can manipulate the audience beautifully, and I’ve openly wept at more than one of his films. Few do it better. 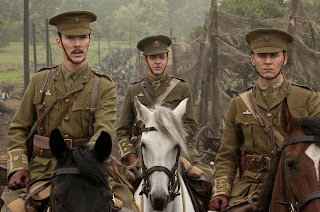 But “War Horse” doesn’t have the characterization, narrative strength, or thematic unity to hit most of the big emotional beats it lunges for, and coupled with a very tame, watered-down approach to violence and the horrors of war, the film comes across as pandering rather than heartfelt. Spielberg wants us to cry whenever a horse is in peril, to smile whenever a human realizes how special the horses are, but with the animal and human characters so poorly drawn, it just comes across as empty cheese. Again, there are moments that come close – a scene between Joey and a horse he’s been close to for years has a decent amount of emotional weight, but it would have so much more if we’d spent more time focusing on the union these horses share. I’m the kind of guy who tears up at movies all the time, so if “War Horse” can’t connect with me, it’s clearly doing something wrong. In fact, there’s one sequence, near the end, involving Joey and his original owner, Albert, that very nearly produced tears, and I believe it absolutely would have if one problem had been fixed: Albert is woefully miscast. 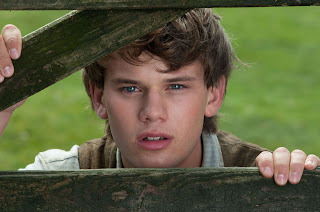 He’s the most crucial human character, the bond he shares with Joey lying at the heart of the movie, but newcomer Jeremy Irvine is a complete blank in the role. It’s not a particularly well-written part to begin with, but Irvine can’t manage to breathe any life into it. He just stands there, reading his lines and making googly-eyes at his horse, and I never for a second believed in Irvine’s work. There are so many better young actors who could have at least brought some charisma or life to the part, and I’m shocked Spielberg, of all directors, didn’t realize Irvine just wasn’t working. So much of the film could have been vastly improved with a simple recast; with a different performer, their ultimate reunion would have had the powerful impact it comes close to achieving. 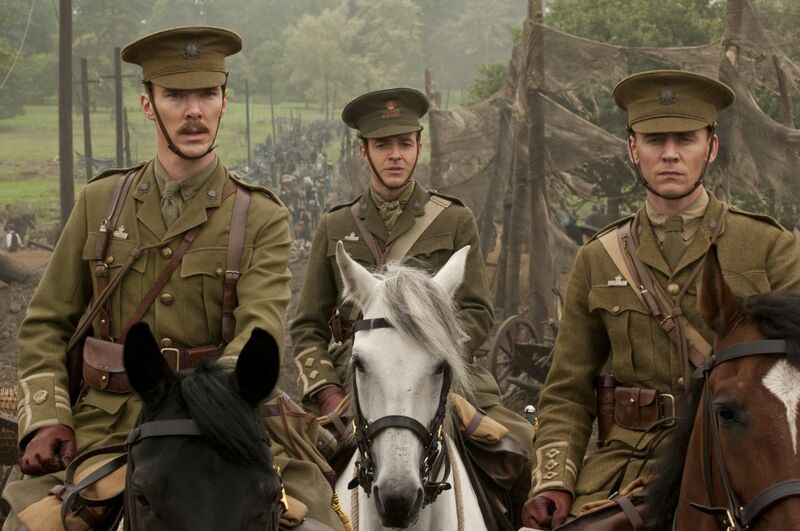 As I said at the beginning, “War Horse” is far from being a total waste. It’s well directed, the production values are tremendous, and I can’t say enough good things about John Williams’ musical score. One would think that, at this point in his career, Williams might be out of new iconic themes – his phoned-in work for “Adventures of Tintin” certainly suggested that – but the core motif in “War Horse” belongs right up there with pieces from “Star Wars,” “Raiders,” “E.T.,” “Harry Potter,” and more. And unlike some of his works, it’s not just one great theme dominating the entire score. 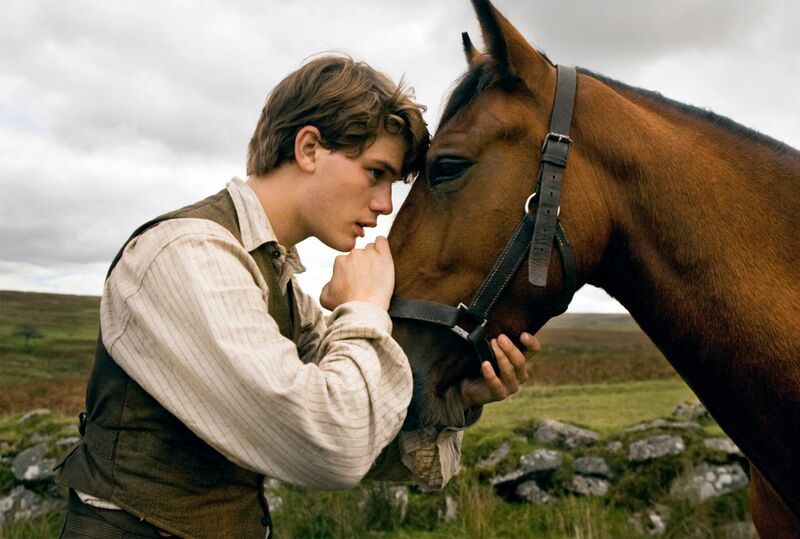 The rest of the music is also beautiful, subtle or grand depending on the needs of the scene, and I think many will overpraise “War Horse” as a film due to the emotions Williams is able to draw out in his music. Those emotions, for the most part, simply wouldn’t be there if you stripped away the score. That speaks volumes to Williams’ abilities as a composer, but if anything, it only makes “War Horse” an even less impressive piece of filmmaking. To my mind, “Best Original Score” is the only Oscar Nomination “War Horse” truly deserves, though “Art Direction” and “Cinematography” wouldn’t be disagreeable. Sadly, it will rack up many, many more nominations in a few weeks, and the public will be manipulated into thinking it is a great movie because the perennially unreliable Oscars said so. Oh well. Such is the nature of awards season, and though “War Horse” doesn’t lessen my respect for Spielberg or most everyone else involved, it will stand, in a few weeks time, as the epitome of everything that is wrong with the Academy Awards. Cumberbatch to be the villain in the new "Star Trek" movie! Fantastic news! He's quickly becoming one of my favorite actors! Very good review. Great production values, great cinematography, great staging but poor direction and bland acting.